If you live with a chronic illness or chronic pain, the odds are that you have at least tried a support group once since your diagnosis. Did the situation go something like this? You felt awful the entire day but you decided to get in the car and go to the support group anyway. You thought it would be good for you. It took forever to find the building at the hospital and then you ended up parking what seemed like a mile from the suite number. You found a chair that smelled like old sweat and smoke and hoped somehow you would find some encouragement. But an hour later you’re ready to make dash for the door. Everyone seems to be so depressed! And too many people want to either sell you a juicer that is sure to cure your problems, or tell you about every surgery they’ve had since 1977. Aren’t support groups supposed to be a valuable coping tool? Yes, they are! Studies done on support groups by David Spiegel, MD, have found that support groups do improve the quality of life for their attendees. Recently studies have concluded, however, that the lifespan of a patient with cancer may not increase because of a support group environment (CANCER, Sept 2007). However, we cannot deny the fact that the validation of one’s feelings about their illness definitely makes a difference in how they cope with chronic illness. You may attend a support group, or perhaps even lead one, but regardless of how long you have (or have not) participated in one, it’s likely that you’ve seen the slippery slope of how quickly people can go from sharing honest, vulnerable feelings to a session of complaints and even quarreling. 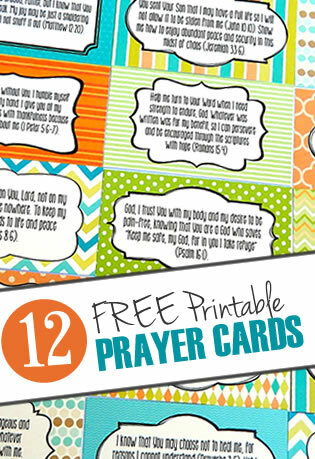 Looking for fresh and fun icebreaker games for small groups to perk things up? 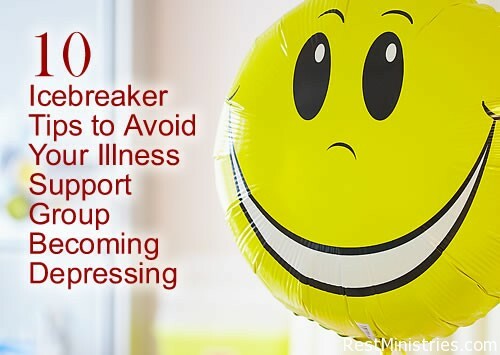 Here are 10 ideas to help create some humor and joy in your support group. You can evade some of those bitter moments that can so easily come out in conversation about illness. Some simple planning can make you feel enthused about your next get together. These ideas will work for any groups, from a Rhode Island support group for CFS to a diabetes support group for those in Marion County, Florida. And they a great tool to have when you are creating a proposal for starting up a support group. 2. Redefine your conception of what counts as indoor games for small groups. For example, start a JOY box and ask everyone to bring an item for it that someone else can take home with them. Have each person choose an item at the end of the meeting. It could be a silly toy, a cartoon, a rubber fish, or great book, a poem, a note someone sent that encouraged you, or even a funny DVD. Ask everyone to return them at the next meeting and exchange it for another item. Refresh the box up now and then. 3. Here’s a unique icebreaker for small groups. Make a silly theme song that you use to start the meeting. You can pick a song and make up new lyrics too. Check out comedian Anita Renfroe for some good ideas about how to make a song your own at her web site. 4. Bring some corny things to use during your meetings. Avoid making anyone feel pressured to use them. (If you force someone to wear a clown nose she may never come back) Have them available, however, and encourage goofiness before getting down to the real reasons you are there. Oriental Trading supply is the source of thousands of funny items guaranteed to spur a giggle. 6. Ask everyone to bring an encouraging item to include in a gift basket for someone in need who is either unable to attend the group or not even a member. Put your heads together about what kinds of items to include. You can find over five-hundred simple ideas in the book “Beyond Casseroles.” Remember personal notes mean a lot, even from people you don’t know, so ask people to write a sentence or two to include with the item. 7. Have a fun night out. You can act your age and go to a nice sit-down restaurant or head over to Chuck E. Cheese for some pin ball. It can definitely be a successful icebreaker for small groups because people who haven’t opened up much in the group may feel relieved to have this environment to get to know others. 9. Invite guest speakers who you trust will speak positively. Inform your speakers that they can “tell it like it is” but that you always want people to leave the meeting feeling energized; not depressed. Let them know they can use props, tell a joke, or do whatever it takes to keep people paying attention. 10. Focus on things that your group can actually do that will change things, since they may feel so unable to control their illness. If you can’t physically participate in the local walk for charity, could you work at a table handing out snacks or doing registration? Find events your group can participate in to feel like they are doing more than just complaining about their predicament. Take advantage of the energy that teens with chronic illness often have to motivate support groups to get involved in outside projects. Illness can be one of the most isolating experiences people have, and support groups provide a sense of belonging in the midst of this. The levels of relationship that form in the group, however, are significantly influenced by how uplifting the leader makes the group environment. None of us want to leave a meeting feeling worse than when we came, but rather refreshed and motivated to live the best life possible. With just a few changes, your support group can go from being a simple meeting, to becoming a lifeline for those involved.